Reading text out loud has long been considered an effective proofreading method, and I’ve found an even more effective variation on that method. Let your computer read your text out loud while you follow along. The errors that your brain might autocorrect as you are reading the text will often leap out when you hear your computer read it. I recommend reading aloud text a paragraph or two at a time. Also, if you hear an error, stop the reading immediately and correct the error so you don’t forget where it was. And the only way this method works is if you pay attention and read along as the computer is speaking the text. If you’re distracted, you may not hear the error when it’s read. There are a couple of ways to get your computer to read text out loud. On a Mac, this is built into your System Preferences. 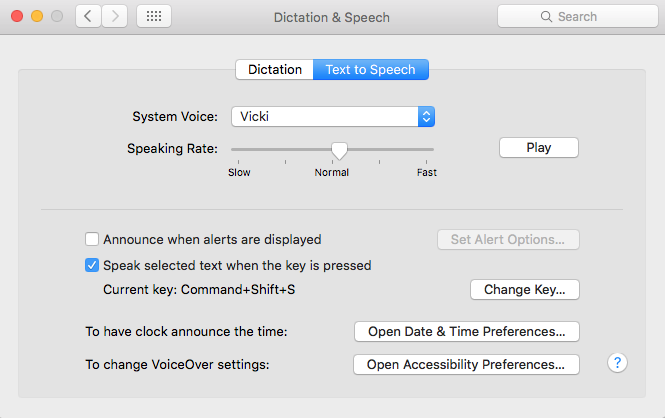 Choose Dictation and Speech and set up a keyboard shortcut. I use Command + Shift + S. Highlight the text, use your keyboard shortcut, and there you go. The same keyboard shortcut will stop the reading. One workaround you may have to employ: Sometimes with .pdf files on a Mac, the file name will be spoken instead of the text you highlight. 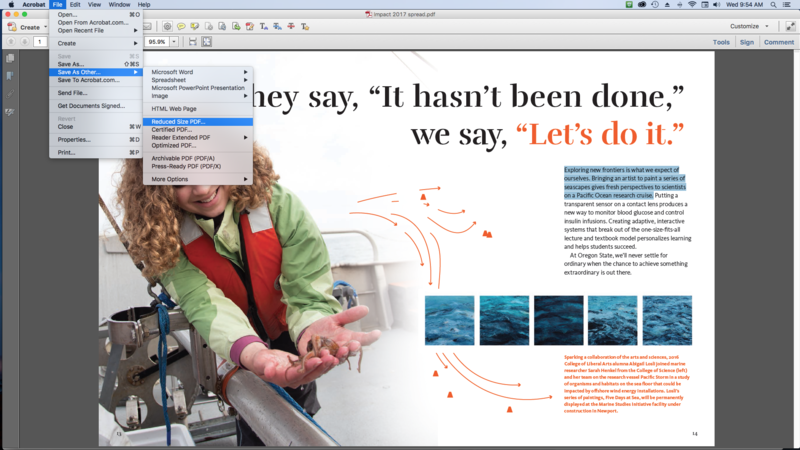 When that happens, save the file as a Reduced Size PDF, close it, and reopen the file. Then your highlighted text should read correctly.